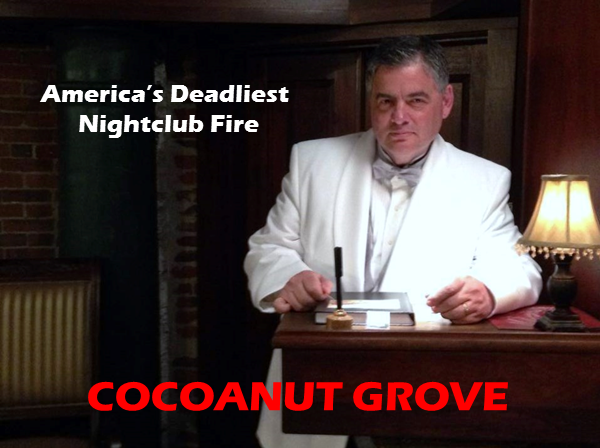 at Boston's Cocoanut Grove was America's deadliest nightclub fire. ​ This feature film comes complete with 40's era mink draped mobsters, ruby slippers, and a classic, Casablanca-like love story. "Smart & sophisticated. Titanic-like. Cleverly stitched." ​Why should this movie be made? Roger is reading Cocoanut Grove as we speak. He was sent the script through his agent Paul Hook (ICM. In 2015, Chris Evans agent Jim Toth (CAA) agreed to send the script for Chris to read, once financing is secured. ﻿Imagine Entertainment﻿: In 2003, Ron Howard's company expressed an interest in the project but passed because the timing was off. Dante's Prayer by Loreena McKennitt. In 2014, Ms. McKennitt's attorney expressed they would be willing to discuss film rights to the song. Why should this movie be made NOW? On November 30, 2013, the city of Boston renamed a street at the former Cocoanut Grove site "Cocoanut Grove Lane" as a result of the tireless efforts of the Cocoanut Grove Memorial Committee, led by retired surgeon Dr. Kenneth Marshall*, whose mother was a nurse at City Hospital on the night of the fire and tended to fire victims. This is the first time in 40 years the city of Boston renamed a street. Due to the wide media coverage of this event, public support for a memorial has increased and awareness has grown about the Cocoanut Grove fire. ​The committee is currently working to create a physical memorial at the site (with former Boston Mayor Ray Flynn and current Mayor Marty Walsh's enthusiastic endorsement) and not only supports the idea that a feature film would serve as a memorial of the fire (after 73 years), but that it would especially serve as a means to help prevent a tragedy like this from ever occurring again. Since the Cocoanut Grove street renaming, a buzz began about holding a fund raiser for the movie in the greater Boston area so that the people who care most about this significant story in Boston's history may become a part of its making. Upon hearing about the fund raiser, Mark Shanahan (Living/Arts Reporter. Boston Globe) contacted Cocoanut Grove's Writer/Producer Deb Whitaker, and wrote a short piece about the project. He expressed an interest in writing another article to promote the fund raiser. Boston Globe Op Ed reporter Dante Ramos had already written two articles about the recent building of condos on the former Cocoanut Grove nightclub site. Colette Phillips, of Colette Phillips Communications, Inc. expressed an interest in collaborating on a fund raiser for Cocoanut Grove (the movie) to include prominent Boston business leaders. Dan Gabel and the Abeltones **, a local and authentic 18 piece 40's era band, agreed to play at the fund raiser. ​** Dan Gabel and The Abletones is an authentic 18-piece Big Band, specializing in the music of the 1930s and 40s. Bandleader Dan Gabel has played with the Glenn Miller Orchestra for over a year on a world-tour, played with the Tommy Dorsey and Hal McIntyre Orchestras, and is considered an expert on the big band era. 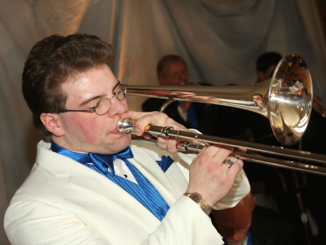 He graduated with a Masters Degree in 2014 from New England Conservatory of Music, and is an active trombonist, arranger, bandleader, and teacher in the greater Boston music scene. The band features vocalist Elise Roth, who encapsulates the look and sound of the big band era, dazzling audiences with her vocal precision and pizazz. ​The Abletones big band sport a vintage look with matching tuxedos, vests and ties, and use period equipment, such as 1930s era mutes and stands. 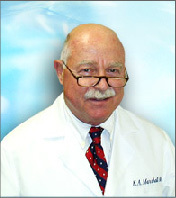 The Worcester Telegram and Gazette has said that "Dan Gabel is the real deal! A band that looks and sounds just like the WWII era."